In 1995, Kim was just a fresh-faced teen. She attended an event alongside her family wearing a frumpy cream coat, white pants and a slicked-back ponytail. It’s difficult to believe, but yes, this is Kim! She attended an event in the early 2000s sporting arguably one of her worst fashion looks of all time. In her early days on the scene Kim was known for her love of a bad fake tan. She was almost never seen without a dramatic smokey eye and an almost indecent amount of cleavage on display. Kourtney and Kim were slowly becoming more recognizable faces in Hollywood. Here, the eager sisters walked the red carpet wearing all-white ensembles back in 2005. Even in the early days of her career, Kim knew how to work her assets. She matched her fake tan with a white top which revealed quite a bit of her bright red bra. Like most celebs, Kim committed a few fashion crimes back in the early 2000s. This ensemble is particularly difficult to forgive. She looks like an extra from a B-grade fantasy movie. This must have been an outfit that Kim chose long before she had a stylist at her side. In knee-high boots, dark jeans and a tartan cape, Kim most probably looks back on this outfit with horror. It appears Kim attempted to wade into more demure fashion waters by 2007. Here she wears a plunging satin red dress with flowing locks and matching red lips. It might have been a slight step up but it appears subtlety has never been Kim’s thing. Kim played it safe with this fun embellished mini dress and sparkling heels when she attended the MTV Australia Awards in 2008. As the first decade of the 2000s came to a close, Kim seemed to have gained the attention of Hollywood – and a stylist! Wearing more designer looks with a more cohesive fashion identity, Kim stormed her way onto many red carpets wearing high-end form-fitting designs. Now, this is a look! Kim looked absolutely gorgeous when she attended this event in October 2008. We love the softened make up look and bold colour. Kim also began experimenting with different hairstyles as the years rolled on. She sported funky bangs and a figure-hugging gold dress at the 2008 Video Game Awards. Kim’s style continued to mature as she cracked the nod to more prestigious Hollywood events. She attended the 2009 Emmy Awards wearing this one-shouldered white gown, large hoop earrings and shimmering eye make up. Kim was now a bonafide reality TV star. 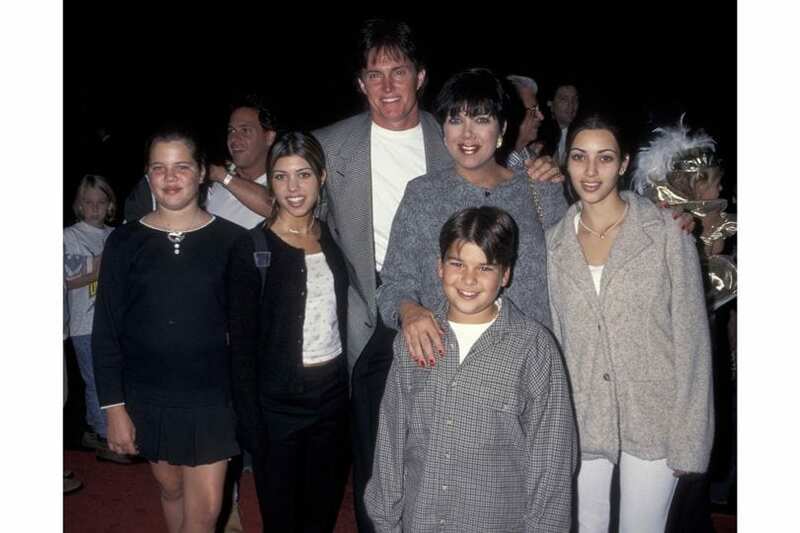 Keeping Up With The Kardashians had become a worldwide hit, catapulting the Kardashian family into stardom. Here Kim attended an E! Television event wearing a white gold-embellished mini dress and gold heels. Kim looked gorgeous in this vivid color at the 2011 Critic’s Choice Movie Awards. The burnt orange dress sported a skin-tight satin bodice and an elaborate fishtail. Kim continued to rise on the industry ladder. In 2012, E! renewed Keeping Up with the Kardashians for two additional seasons, in a deal reported to be worth $50 million. Kim used her cash to up her wardrobe with notable pieces like this Balmain mini dress. In 2012, Kim started dating rapper superstar Kanye West. Kim had most recently divorced from her basketball-playing beau after only 72 days of marriage. Kanye would go on to have a profound influence on the star’s style evolution. After a year of fashion forward moves, Kim took a giant leap back with a style choice that left the internet in a fit of collective laughter. A very pregnant Kim arrived at the Met Gala wearing an ensemble that would be repeatedly compared to someone’s grandmother’s couch. Kim lost the baby weight and bounced back after the birth of her and Kanye’s first child. She attended this 2014 event looking radiant in red. 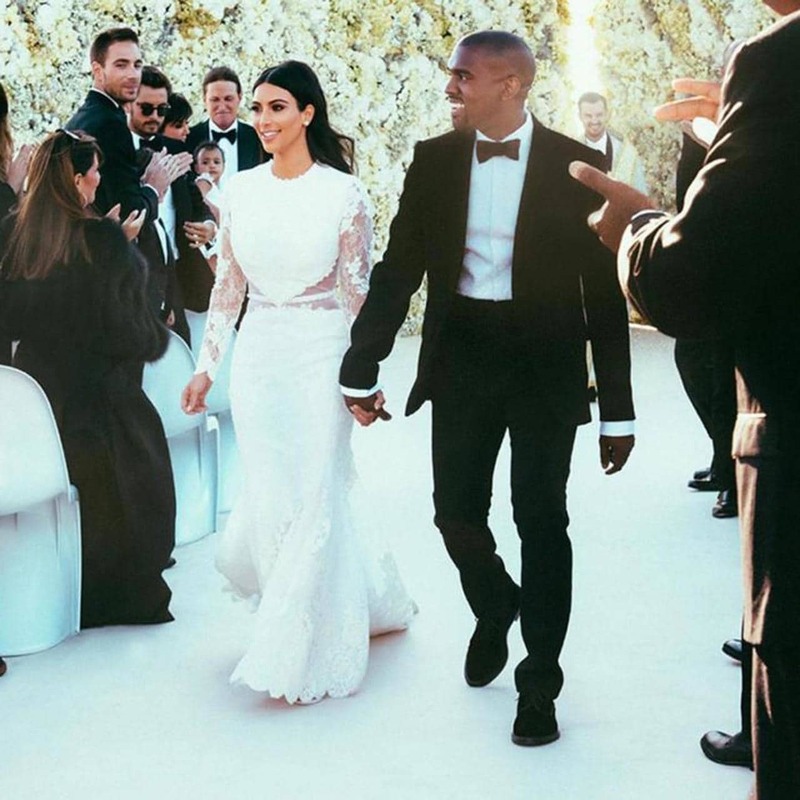 In 2014, Kim and Kanye wed in an elaborate Italian wedding ceremony. The star wore an ivory creation by Givenchy couture while the groom opted for a sleek, classic tuxedo. Kim’s look became engineered by Kanye. The star became a public ambassador for Balmain creations. Here she attended the MTV Movie Awards with her sisters, Kylie and Kendall, in 2014. Kim chose a memorable Atsuko Kudo latex bodysuit with a custom-made gunmetal skirt by Ralph & Russo to attend the GQ Men of the Year awards in London, where she was awarded Woman of the Year in 2014. As Kanye moved to make a name for himself as a fashion designer, Kim became his ever-present support, wearing his designs and cheering him on from the fron row. Here she attended his runway show, kitted out in his designs in 2015. By mid-2015 Kim had gone platinum blonde with the encouragement of Kanye. She sported skin-tight leggings, plunging necklines and faux fur with her new lighter look. Going back to her natural locks by the end of the year, Kim flirted with latex in this pale pink, plunging number. Kim pulled off some pretty daring looks during the time period of her second pregnancy. Here she donned a revealing sheer dress that did little to conceal her growing belly. 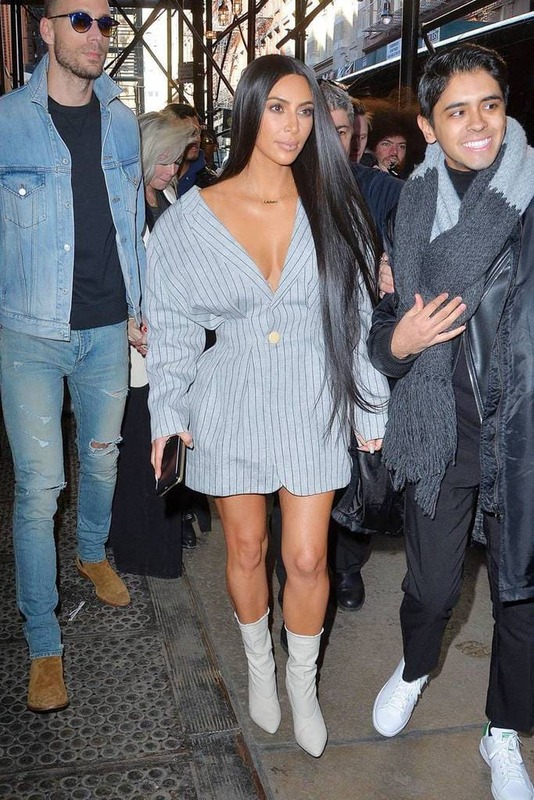 Forever ready to take on a bold new fashion look, Kim paired a skin-tight knit dress with a pretty absurd pair of thigh-high denim heels. In 2017, Kim began to sport waist-length, Cher-inspired dark extensions. She opted for cooler colors and a clean, fresh-faced make up look. Kim went through a phase boasting shorter locks and a lot less clothing. Here the star wears a beige bra and a pair of ten leggings. Kim’s most recent red carpet look got people talking. The star has previously been criticized for wearing corn rows. She paired the braids with a white tube top and skirt at 2018’s MTV Movie and TV Awards.